Heloooooo, Seattle! Yesterday was like 72 and sunny; today, cloudy and sprinkles. But I still heart you, Seattle. I enjoyed Pike Market with the fish tossing, and seeing the first-ever Starbucks (aka mecca). I keep thinking I’m going to bump into Frasier, but something tells me that’s not going to happen. 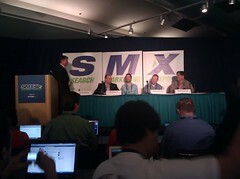 On to more important things, like the kick-off SEO session at SMX Advanced — let’s do it! This session talks the major “elements” of SEO, says the SMX description, including HTML titles, domain authority, textual content and more — even that plentiful but elusive “hydrogen” of the SEO word: links. Danny is talking about the nifty periodic table of SEO ranking factors infographic that’s circulating around. First up is Jeff MacGurn from Covario. He says he’s going to cover some analysis and correlation Covario has done. He says they added two new elements to the real periodic table of elements recently. He thinks the periodic table for SEO is expanding as well. 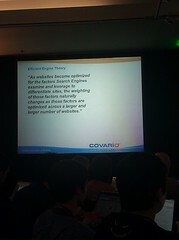 Covario tracked over 800,000 landing pages, this is the data he is talking about today. He is talking correlation versus causation in ranking. Causation is hard to prove. 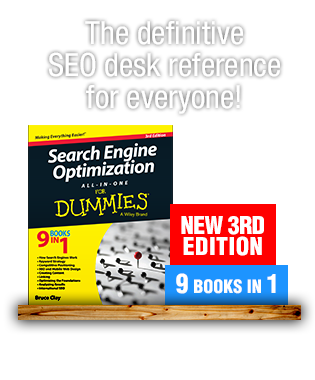 First, he’s talking technical SEO factors, some of the factors that are most important to everyone. The factors are page size, URL character length, flash navigation, session IDs (this one has a strong negative correlation when present), dynamic parameters, proximity of page root directory, page load time (some correlation). Next he’s talking content factors. Keyword emphasis, keywords in the title tag (correlation), keyword in Meta description, keyword in H1 tag (strongly correlated), keyword in H2 tag (strongly correlated), keyword in H3 tag, keyword in image ALT text, keyword in URL (strongly correlated). These are all tested in Google Bing and Yahoo! Link factors are next: internal link count (very little correlation), external link count (correlation marginally better than internal), keyword in anchor text (slight correlation), “hub” links (correlation from sites that link to other authorities is very strong amongst all the search engines). Takeaways: Google has changed its algorithm on the examined factors Psych! OK, he just tricked us and said his takeaways were a lil joke. You trickster — it’s too early in the morning for that. Real takeaway — when everything looks the same, the slightest differentiation can make a huge impact. Algorithms are more complicated than a hard percentage of what factors rank. Competitive analysis is more important. Don’t look for the secret SEO factor of the day — look for the factors in your landscape. Everybody is doing it well, so you need to do it well, too, but do what everyone else is doing and then a differentiating factor. Jeff just said he finished 46 seconds under and looks like he won a marathon — go Jeff! Up next is Rand Fishkin of SEOmoz. Apparently Danny poisoned Jamie or something, so Rand is stepping in. He is also talking correlation data, and apologizes because he didn’t realize Jeff was doing it. He found some differing data, he wants to compare methodologies with Jeff. Two types of data in this presentation, and one is opinion data through survey research. They are looking at factors that show higher versus lower rankings. He is reinforcing the correlation versus causation definition that Jeff outlined. He says the data he is about to go over is very accurate. In 2009, the search rankings factors (by survey) showed links data were that biggest factors in ranking; in 2011, link factors fell from 65 percent to 45 percent of the pie. This was after the Panda update. SEOs think exact keyword match domains will fall in importance, as well as paid links, anchor text in internal links. Social signals will increase, perceived value to user will increase. He’s going through a lot of data on slides. I’m not getting all of this — I look over to Lisa Barone, hoping she is, and she’s not typing either. Oy vey. Sorry, folks. Diversity of links and anchor text are factors that stood out to them. He is using c-blocks as a reference point in this deck. 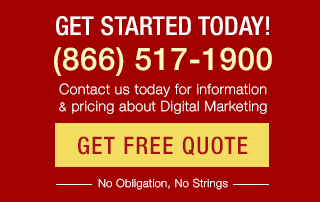 Google is getting better as discounting he value of paid links, is his personal opinion. Next is social signals. The most fascinating data, he says. Voters say the authority of tweets and No. of tweets and Twitter authority will be a factor, thinking Twitter is really going to have an impact. “Holy crap,” he says. The results surprised them. No. of Facebook shares is the highest correlation in ranking factors. He says stuff gets shared on Facebook a “crap ton,” which is a technical term, he says. This data really surprised them. Twitter has a smaller affect. Then they tested is pages were ranking well because of links, but it wasn’t just that. Social factors are creeping in and the number is too high. Clearly, Facebook data is factored into rankings. Last point: please be careful when sharing correlation data — it’s not the end all be all. Next is Matthew Brown from Audience Wise. He says everyone has fancy graphs, but he is going to illustrate his data through this Nissan car. Social, brand, local are changing up the search results. Not just talking Fortune 500 companies for brand. Google has taken intent and now shows shopping results for someone who simply types in something like “microwave oven.” Brand can totally override what we have been working on in SEO, even if their optimization is terrible. How do engines find brand signals? Searches for your brand in a search bar, associate your brand with related keywords, build non-search brand traffic. He’s now onto social promotion. He’s talking about liking objects on a page versus liking a Fan page. This builds deep social signals, he says. Better than having it all reside on Facebook. He’s showing some data that he says is checked by grad students that are paid through pizza — not fancy like Jeff’s data or Rand’s data. But, he says that Tweets stand out as something authoritative but LinkedIn is interesting as well. He says pay attention to Schema.org if you’re looking into optimizing with Facebook. Localization: He’s talking about how the SERPs are changing, the 7-pack is in a different spot, etc., etc. There’s sometimes a one-pack in the localized result up at the top as well. The click-through must be amazing for this, he predicts. For research for localized search results, use advanced Web rankings, search by location, it’s not 100 percent accurate, however. Build out location pages but don’t make it thin content. 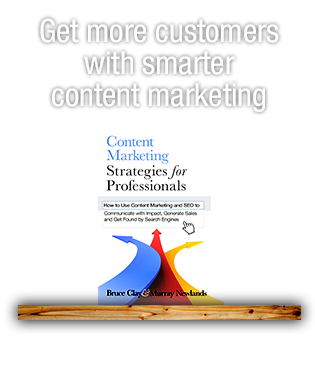 Don’t just blast out 500 new pages that are geospecific — no duplicates, no thin content. Could be targeted by Panda. Final thought: Google +1 doesn’t seem like a huge factor right now, but first movers will win. Don’t wait until things like this are verified as ranking. Great, thanks! We’re happy to do it.